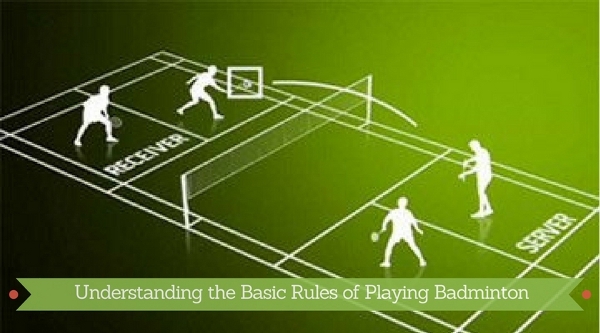 Understanding the Basic Rules of Playing Badminton - GoodGuysBlog.com - New, Technology, Marketing, Health and So on. Knowing the rules for a game is important. This way, you won’t feel lost. Try imagining a situation in which you are simply unaware of the score and crucial stages of a game where you can have an upper hand on your opponent. In some cases, things may get very embarrassing. When you know the rules of the game, you start enjoying the game too. It also helps you know about some of the crucial terms and language commonly used by professional players. You may also keep yourself upgraded with the latest news and updates on badminton online and know about any changes or additions made to the rules of the game. - When someone commits a fault. Winning a rally will reward you with ONE point. You win the game after winning 21 rallies. A toss is conducted prior to the start of a game. Once you win a toss, you can choose between either serving first or to start playing at either end of the court. The winning side serves first in the following game. Here, only serving side will get the chance to add a point to its score. Ends are changed with opponent soon after the first game is finished. In case, a third game is played, you need to change once the leading score reaches 6 for a game of 11 points or reaches 8 for a 15 points game. - When the shuttle strikes the net and remains attached there. It may also be suspended on top. - When a shuttle strikes the post/net and starts to fall to the court surface on the side of striker of the net. - A shuttle is not in play when it hits the surface of the court or a 'fault' or 'let' has occurred. The entire charge of tournament is in the hands of a referee. In case an umpire is appointed, he will be in charge of the court, immediate surrounds and the match. It is important that the umpire reports to the referee. Service faults made by the server (in case they occur) shall be called by service judge. The shuttle landing in or out on the line or assigned lines are pointed out by a line judge. The decision by an official is considered final on all points of fact. - Will upload and impose Badminton Rules and call a 'let' or 'fault' in case, either occur. - Make a decision on any appeal related to dispute, when made prior to the next service is delivered. - Make sure both players and spectators stay well informed of progress of the match. - Remove or appoint service judge or line judges in consultation with the referee. - Make arrangement for duties of court official when he is not appointed. - Play ‘let’ or perform duties of an appointed official when he is unsighted. - Record and the report all matters about referee (penalties, continuous play, and misconduct). - Take all unsatisfied appeals to the referee and law questions only. Badminton Scoring is based on the 21 points system or known as the new rules to most people. Most of the time, players do not focus on what not to do while playing badminton. It is crucial to have detailed knowledge on what are you not supposed to do during the game. This will help you avoid losing points unnecessarily. Understanding the above listed fouls will help you master the game. The same rules are applicable for singles and doubles. However, these rules may get somewhat messy in case of doubles due to the involvement of two players on the court.